In The Man Who Loved Seagulls, Osho discusses essential stories and parables from the world’s great wisdom traditions of Zen, Taoism, Christianity, and Judaism. 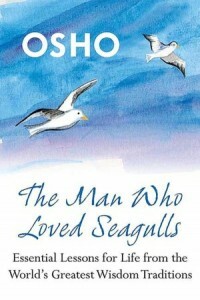 Osho–himself a master storyteller—interprets the stories in this collection and applies them to the concerns of modern day life. The valuable lessons they impart are both timely and universal. The stories encourage meditation as they are meant to be told and studied again and again, in order to discover new layers of meaning with each reading.